Expertise you need to support your growing business. We’ve changed the way high-growth, mid-market companies manage their HR administration. As your company’s back-office resource, Emplicity provides the human resources infrastructure your organization needs to scale and grow. We integrate and streamline your employee services, keeping your team productive and allowing you to focus on your business. The exponential growth of human resources responsibilities on businesses has fueled an outsourcing phenomenon. When the burden of human resources exceeds your internal capabilities, and the expertise needed to manage a growing workforce is out of reach, turn to HRPlus+™: Emplicity’s Administrative Services Outsourcing (ASO) solution. Supporting your employees and administering your most trusted HR functions is our main focus. Acting as your off-site human resources department, the integration of our professionals, HR technology, resources and service provide the support your employees need to remain happy and productive.  Empower your people with myEmplicity, our Human Resources Information System (HRIS.) With manager and employee-self service on employee benefits, report writer capabilities, employee events tracking, employee access and administration is made simple. As your confidante in key management decisions, your Emplicity HR Business Partner will provide the necessary guidance and research on employee relations, compliance and workforce productivity. Your managers will love you too, for the access and support of a dedicated, on-site HR professional who is intimately familiar with the critical elements of your business. Emplicity handles the processing, deposit and filing of employee payroll taxes, along with all of the associated administration of employee recordkeeping and reporting. With a full suite of workforce technologies such as time and attendance, automated on-boarding and manager self-service, labor and expense management is one less thing to worry about. An integrated employee benefits portal and support team eliminates the manual administration of your benefits policies, premiums reconciliations, COBRA administration and plan compliance. With full support on your benefits plans, your employees will thank you, and call us for the details.